Built over a century ago and named after the founding father of the tiny island-state of Singapore not many hotels can claim to have hosted Kipling and Hemingway and, in the process, aged as gracefully as the most fabled hotel in the Far East. 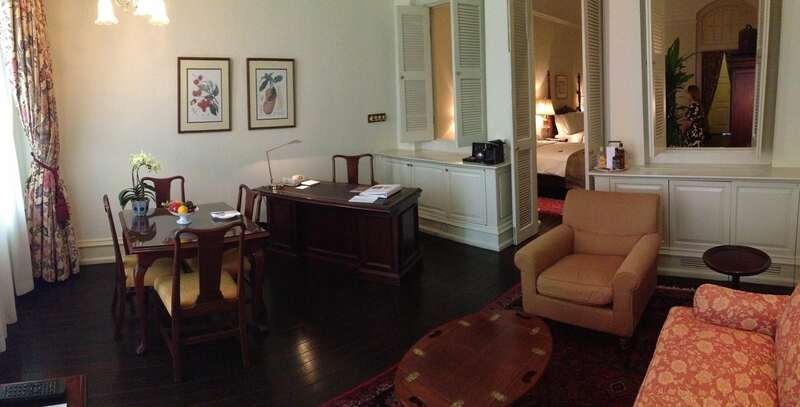 The Raffles has not only done that but has also managed to remain the most coveted, and expensive, hotel in Singapore. A staycation reveals if it truly is on top of the game or if its fame is merely sustained by the name it carries. Here are more 5 star hotel choices for your luxe stay in Singapore. The legendary Raffles, the original property of the global chain, opened its doors 127 years ago on what was, back then, the edge of the city. Little did the founding Armenian brothers, also owners of historical Eastern & Oriental and The Strand, know that Singapore would evolve so much that the hotel would end up being located at the heart of the colonial quarter, 500 meters away from the shore. When you live in Singapore, the Raffles Hotel is a place of pilgrimage, one of the stops in the top-10 places to see in the city. You at least drop by for a photo opportunity of the façade or to indulge in a Singapore Sling, famously created by the bartenders at the Long Bar or, if you are looking to splurge, partake in one of their always-crowded Afternoon teas. With the occasion of my mother and sister’s visit, I decided to go all in and book a night at the Raffles. I must admit I had been meaning to find an excuse to stay there for a long time but the nightly rates well above the $500 made them hard to come by. As I constantly monitored the rates I finally found an attractive offer for the weekend they were visiting so decided this was the chance. 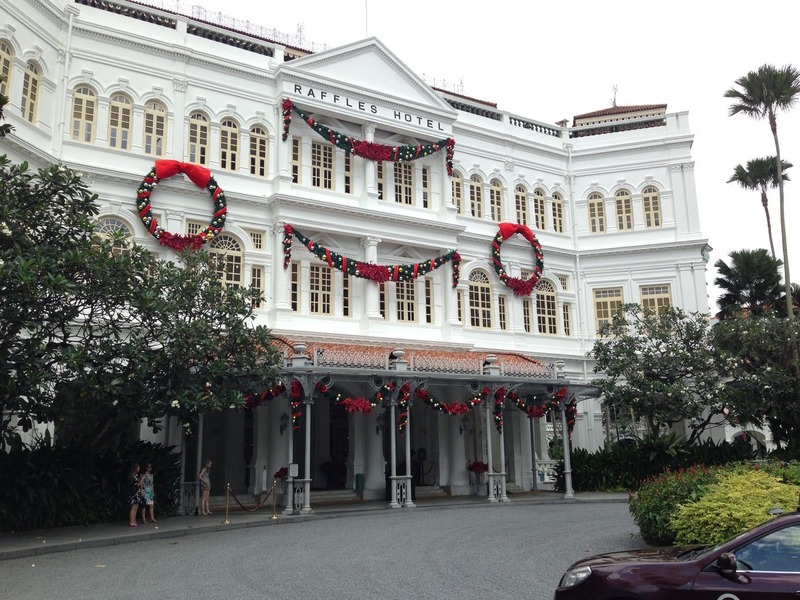 Arriving at the Raffles is a regal affair. First there is the entrance, off one of the busiest roads in the city, you turn into the hotel grounds and are immediately taken to the British colonial era. A driveway ends in front of Sikh butler, tall, wearing an impeccable turban and dressed in white with golden and red buttons and belts. He is the first connection to the historical background of the hotel and a welcoming face to the 19th century. Inside the main lobby the hotel is remarkably spacious, quiet and warm. Although it is located in an eminently tropical city the common areas are decorated in dark woods and furnished with vintage pieces and original appliques, including the turn of the century switches and lights. Large chandeliers hang from the ceiling and wooden staircases flank the lobby area. Today’s buildings were renovated during the late 80s, after the hotel was declared National Monument 100 years after its opening, but preserve the original fixtures which I had never seen in any other historical building. Wherever you go, you can feel the weight of the past. Despite its long history, which you can read more about here, the hotel’s splendor dates back to the 10s and 20s, before the Great Depression sent it to receivership and the WWII turned it into a prisoner’s transit camp. 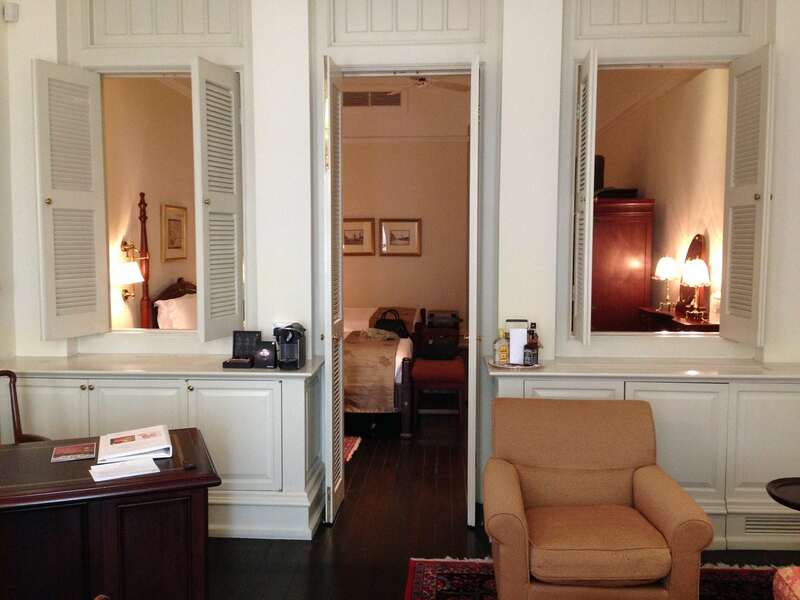 The suites are large, particularly for Singapore standards, and ooze timeless elegance. They are decked in teakwood floors and filled with memorabilia and classic pieces such as a dressing table. Stepping inside is like being part of history. I automatically felt like I had to take out my notebook and fountain pen to start writing. Inspiration just flows in from the closet, the sofa, the curtains, the carpets. On the other hand, quirkiness abounds. The TV is truly from the 80, one of those large boxes that you rarely find these days, surely on purpose and the hotel’s way to make a statement. The beds are comfortable and four-poster adding grandeur to the room. At night, the heritage revels itself in the mild sound of the pipes. You could find it unpleasant or look at it as another way to feel the old world charm of the building. Bathrooms in turquoise hues and marble tiled are splashed with golden appliques. Most of the rooms open up to the courtyard or to their own veranda. It is a refreshing idea to be able to walk out of your room into the greenery instead of the usual modern buildings where one cannot even open a window. The legendary grounds are an oasis in the city. You could sit there all day, people watching or listening to the birds. If you look up, you may be able to see one of the tall skyscrapers but this view is most likely blocked by the palm trees. If you are looking to relax, the pool level is a positive surprise. Since the hotel expands over thousands of square feet the sun is not blocked by any building, a true luxury in Singapore. Service is impeccably professional. Your butler will be there to answer to your every whim. And you better use him or her because if you try to do something by yourself they are likely to get offended. As per the food, we only stayed for Afternoon Tea, but that is food for another article. I may only say that the tables are covered by starched tablecloths and dressed with silverware and embroidered napkins. Enough said. The only slightly awkward feeling was that of hordes of tourists pressing their faces against the glass doors of the main entrance trying to snap a picture. I am sure we managed to photo bomb more than one.